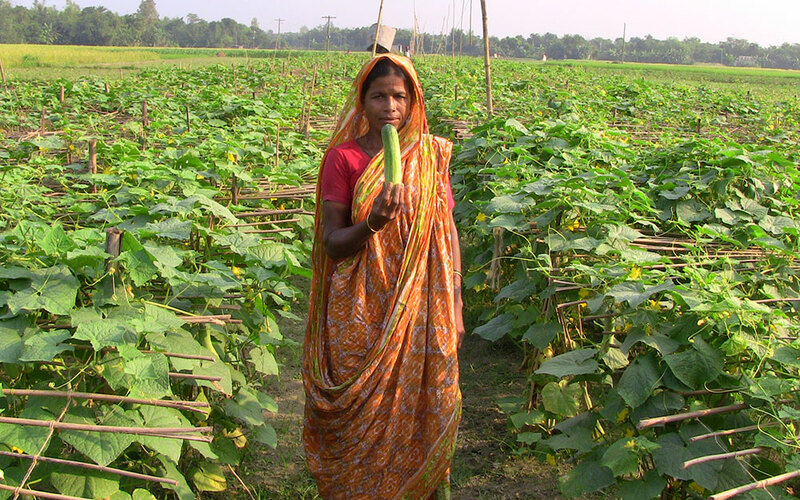 GFM’s partner advised her to grow another crop, such as cucumber. “Who’s going to eat all of that cucumber?,” she replied, as she didn’t know how she could possibly market the produce. However, she took out a micro-loan to help cultivate the soil and grow her first crop of cucumbers. In a few months she had a bumper crop, making 3 times what she would have if she had grown rice! Our organization arranged for someone to buy all of her produce right from her field. She quickly repaid the loan and took out another loan to expand her farming business. Once repaid, that micro-loan went to another nearby farmer, like a gift that keeps on giving. Amina worked hard and came out of poverty with the help she received through the micro-loan and agricultural development programs. Not only did she experience hope with her tangible cucumber harvest, she soon after experienced transformation when a spiritual harvest came to her community.